Two weeks ago, I had the great honor of meeting Kate DiCamillo. After hearing her talk, I stood in a long line of nine-year-olds, heart palpitating, to have her sign my copy of The Tale of Desperaux. When I got to the front of the line, and Kate DiCamillo said, “Hello! How are you?” I almost cried. I have chosen the following three excerpts from The Tale of Desperaux, with the aim of capturing one of my favorite elements of an endlessly admirable book. The leading characters are, without exception, sympathetic. 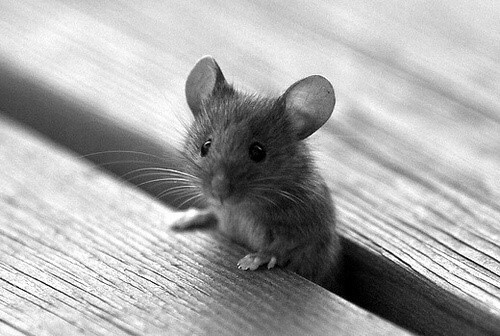 You love a rat with burnt whiskers and nefarious schemes as much as you love an adorable, gallant mouse. You feel for a slightly dim-witted serving girl with cauliflower ears as much as an astute, sparkly-gowned princess. Perhaps even more graceful than the characters themselves is the way Kate DiCamillo, as a narrator, uses her characters to provide her young audience with concrete examples of complex ideas, ideas like heartbreak, perfidy, empathy. Her voice is as much a character as Desperaux, Roscuro, Pea, or Mig, and, with its gentle urgency, is perhaps the most compelling character of all. There are those hearts, reader, that never mend again once they are broken. Or if they do mend, they heal themselves in a crooked and lopsided way, as if sewn together by a careless craftsmen. Such was the fate of Chiaroscuro. His heart was broken. Picking up the spoon and placing it on his head, speaking of revenge, these thins helped him to put his heart together again. But it was, alas, put together wrong. The only noise came from Lester. He was crying. And thirteen mice, ashamed for Lester, looked away. […] At least Lester had the decency to weep at his act of perfidy. Reader, do you know what “perfidy” means? I have a feeling you do, based on the little scene that has unfolded here. But you should look up the word in your dictionary, just to be sure. In this story, reader, we have talked about the heart of the mouse and the heart of the rat and the heart of the serving girl, Miggery Sow, but we have not talked about the heart of the princess. Like most hearts, it was complicated, shaded with dark and dappled with light. The dark things in the princess’s heart were these:a very small, very hot burning coal of hatred for the rat who was responsible for her mother’s death. And the other darkness was a tremendous deep sorrow, a deep sadness that her mother was dead and that the princess could, now, only talk to her in her dreams. And what of the light in the princess’s heart? Reader, I am pleased to tell you that the Pea was a kind person, and perhaps more important, she was empathetic. Do you know what it means to be empathetic? I will tell you: it means that when you are being forcibly taken to a dungeon, when you have a large knife pointed at your back, when you are trying to be brave, you are able, still, to think for a moment of the person who is holding that knife. You are able to think: “Oh poor Mig, she wants to be a princess so badly and she thinks this is the way. Poor poor Mig. What must it be like to want something so desperately?